This statistic shows the number of cumulative app downloads from the LINE Game app store between December 2012 and November 2014. 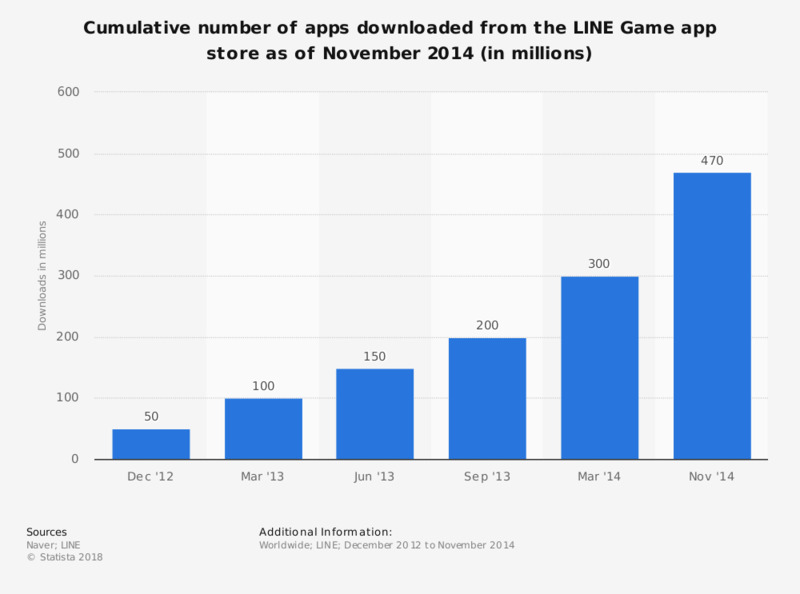 In March 2014, LINE announced that over 300 million apps had been downloaded from its gaming platform. This figure grew to more than 470 million combined downloads as of November 2014, when the gaming platform announced its two year anniversary. Popular LINE games include LINE Pop, LINE Pokopang and LINE Bubble Run. All games feature social components such as rankings and the ability to request game items from friends. Players are able to purchase in-game currency to buy virtual items.